You Helped us get the ULMWP to the UNGA! Thank you so muchto everyone who donated to our urgent appeal to get the ULMWP to the UNGA. We managed to get them there and it was extremely worthwhile. The ULMWP's attendance at the UNGA was the single most important event on their calendar. It is the UN who hold the power to return West Papua to the Decolonisation Committee and support an internationally supervised vote on self determination and because of your donations, we are one step closer! Benny and Head of the EU mission, Oridek Ap, travelled to Geneva to attend the Human Rights Council as part of the Vanuatu delegation. The Vanuatu delegation initially raised the issue of West Papua in relation to the right of indigenous peoples. They then went on to address patterns of intimidation and attacks in West Papua, and the impunity of perpetrators. They moved on to raise the issue of enforced disappearances and arbitrary detention following the mass arrests that surrounded the Pacific Islands Forum (PIF) earlier in the month. The mission of Vanuatu in Geneva organised an informal lunch briefing on 13th September 2018. The purpose of the lunch was to continue to raise awareness on the human rights situation in West Papua. The briefing bought together a total of 39 participants including many ambassadors, mission representatives, and West Papuan representatives. Testimonies were shared during the lunch briefing including a short legal analysis on the taking over of West Papua by international lawyer on West Papua and daughter of a West Papuan freedom fighter, Ms. Fadjar Korwa. The ULMWP is dedicated to building on the networks and relationships built at the Human Rights Council. One of their priorities in the near future is to ensure the ULMWP has central representation in the EU. History was once again made at the United Nations General Assembly last week, as the voice of the West Papuan people was amplified for the ears of the world to hear. Demonstrating enduring Pacific solidarity, the Republic of the Marshall Islands, Tuvalu, and the Republic of Vanuatu all spoke out in support of West Papua and the need for our cause to be returned to the United Nations. The Solomon Islands also voiced its concerns over human rights abuses and violations. All nations, whether large or small, use the UNGA to address their most urgent needs and pressing issues. Therefore, the fact that Pacific nations prioritised West Papua in their UNGA addresses is a direct result of the growing, regional public outcry for West Papua, and testimony to our rising profile and solidarity from around the region. As the sixth consecutive year of support for West Papua at the UN General Assembly; the uprising of international support, diplomatic pressure, and mass public solidarity for West Papua continues to have impact and warrant a response. Demonstrations were scheduled to take place in the lead up and during the UNGA. On Monday 24th September 2018, armed Indonesian National Police rounded up and arbitrarily arrested and detained 67 West Papuans for peacefully carrying out support actions for Vanuatu and Pacific countries to bring West Papua back to the UNGA. We are thrilled to report that all 67 individuals were eventually released without charge however we are still deeply concerned with the intimidation tactics utilised by the Indonesian security forces to curb peaceful expression. click herefor the statement from TAPOL and ETAN on these arrests. In September, The Free West Papua Campaign sent an urgent action asking you to ring the police stations where 67 West Papuan Students were being held. Within this action we gave details of the death of KNPB activist, Daud, who following the raid of KNPB offices by Indonesian police, was found deceased with signed of torture on his body. The Free West Papua Campaign apologises for the potentially misleading nature of this information and would like to clarify that it is our belief that Daud died under suspicious circumstance. We cannot however say this for fact, as the restrictions on journalists and the resources to gather information it is too difficult to verify this information at this time. Papuan political activist, Yakonis Womsiwor, continues to suffer with severe leg pain more than two weeks after being short by police due to restrictions on the adequate medical care. On September 15, the local Mimika Police Force shot him in both legs, three bullets to his thighs, two to his shinbones, and one in the sole of his foot, when joint police military forces raided the offices of pro-independence organisation, the KNPB. He is unable to stand and due to the severe pain he is in, it is speculated that the wounds have affected the bones in his legs. All requests for the provision of better medical care have been rejected by police. 3) Ensure Yakonis is afforded regular access to his family and lawyers. On the 7th October, Rockin' for West Papua Global Peace Concert 2018 kicked off in the Netherlands! Artists all around the world are gearing up for the third year of Rockin' which will be running throughout the month of October. This year there are over 80 bands performing in 16 gigs, across three continents, ready to make some serious noise for West Papua. For more information and a proper history of Rockin' please click here. For all updates and links to gigs, please follow Rockin' for West Papua on Facebook and the Free West Papua Campaign on Twitter. It's time to make some noise for West Papua! 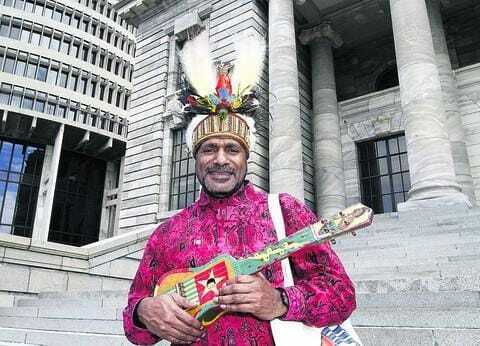 Benny Wenda is being strongly considered for the Freedom of the City Award. On October 1st, Oxford City Councillors voted for Benny to receive the award. Initially nominated by Green Party Group Leader, Craig Simmons, the nomination was given cross-party support. The process is not yet complete and must go through one last round where two-thirds of councillors must again give their support. If Benny is honoured with the award, he will join other worthy past recipients including Nelson Mandela and Sir Roger Bannister. We have some other really exciting actions and events coming up and we would love for you to be involved. Click hereto see what we have coming up and how you can get involved! 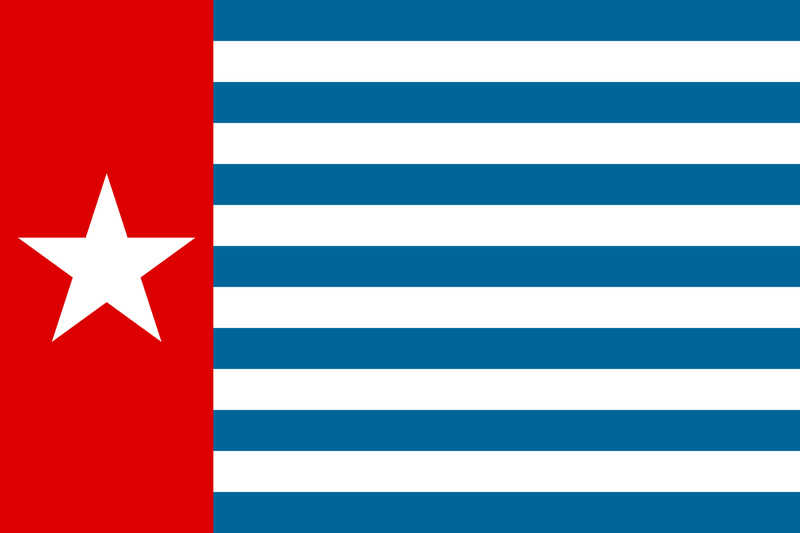 We are really grateful for any and all financial contributions to the Free West Papua Campaign. Every single penny is directed towards the work of the campaign and the ULMWP.